Juda, Jan 30: As the alert peacekeepers started to celebrate with dance and songs and the performances of incredible acrobatics, the crowds of their Indian and international UN colleagues quickly joined them for remarkable India’s Republic Day celebration in South Sudan. 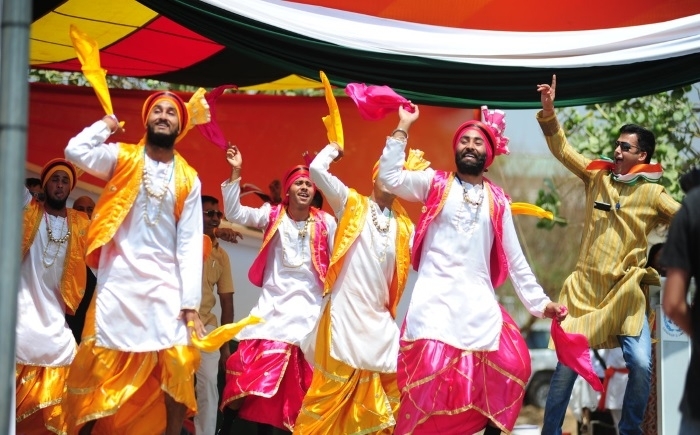 The event, held at a UN base in the capital Juba, celebrated the 70th anniversary of India’s Republic Day, which commemorates the country’s formal adoption of its constitution and recognition as a fully independent and democratic nation. No one knows the value of peace more than a soldier,” said Brigadier General Nitin Khare, Sector South Commander, and India’s National Senior officer. Today, India is the largest democracy in the world. It is also one of the top international contributors in terms of personnel serving with UN peacekeeping missions. More than 200,000 military and police have served over the past 70 years and 168 Indian military personnel have lost their lives under the UN flag. Currently, 2400 military and police are serving at the United Nations Mission in South Sudan. The Head of UNMISS and Special Representative of the Secretary-General, David Shearer, paid tribute to the peacebuilding efforts of the Indians in some of the most remote and dangerous parts of South Sudan. “We have been leading the way in terms of peace in that area. There has also been a tripling of humanitarian agencies largely because of the Indian peacekeepers in Akobo,” said David Shearer. About 40 Indian peacekeepers are currently stationed in Akobo – the only UN base located in opposition territory - where about 12,000 refugees and displaced people have recently returned in the wake of a newly-signed peace agreement. The Indian Ambassador to South Sudan, S.D. Moorthy thanked the troops for their peacekeeping efforts but also highlighted the importance of the community outreach activities that they undertake around the country, including providing veterinary services and training for cattle owners, agricultural support, as well as vocational training for youth. He said, “These are things that we can do at the local level that really benefit the local community, particularly those who are returning from refugee and internally displaced camps”.